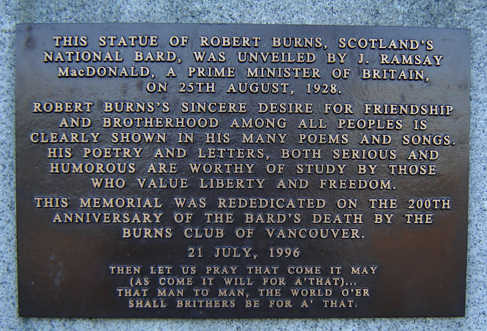 On a visit to the Scottish Studies Department at Simon Fraser University in Vancouver I was lent the book "Vancouver's Tribute to Robert Burns" which was printed in 1925. This book is a wee gem and the Guest of Honour was the Hon. 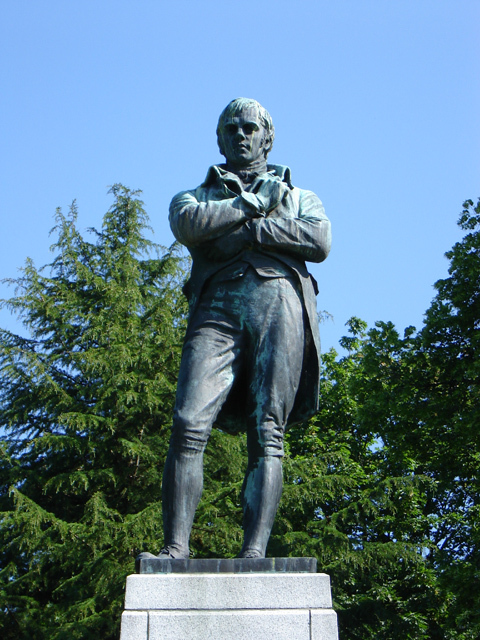 James Ramsay MacDonald who also gave the "Immortal Memory" at the dinner after the unveiling of the statue. I have now scanned in the book onto a pdf file which you can download below.